The National Transport Commission (NTC) says current reviews of national supply chains would lead to real reforms that could unblock paths to efficiency. Speaking at Ports Australia’s conference in Brisbane, NTC chief executive Nick Dimopoulos said governments were committed to delivering a step-change in productivity. “Australia can keep a toehold on global competitiveness, and tip the scales back in favour of domestic industries, by modernising its regulations and infrastructure,” Mr Dimopoulos said. He said transport ministers across Australia were working in conjunction with the NTC to set up Australia’s first integrated national transport policy for all modes of freight and passenger transport. 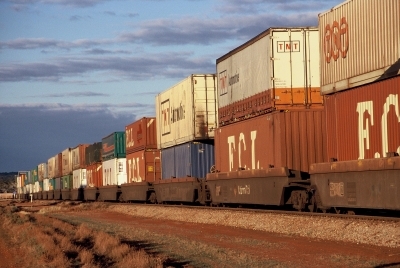 The NTC, overseeing a review of rail productivity, is also conducting national pilot studies for intermodal transport, grain and coal supply chain under the South Australian-led capacity constraints and supply chain performance agenda. With container trade handled by Australia’s ports projected to more than triple from 5.1 million units to 18 million by 2030, Mr Dimopoulos said nationally coordinated land-use planning was a key to support growing seaports and freight terminals, protecting adjacent logistics parks from urban encroachment. He said rail was often mooted as an answer to manage the projected growth in container freight, with its modal share remaining low. “Right now the volumes and economics for rail don’t stack up,” he said. The rail productivity review, he said, would identify reform opportunities to better connect transport networks and enhance rail capacity and service. He added early findings for the pilot studies showed collaborative efforts by supply chain parties to “sweat” infrastructure and transport assets further were delivering results, while commercial interests often impeding real change. “No one wants to bear the cost of genuine collaboration. Coordination by consensus isn’t working well for Australia,” Mr Dimopoulos said. The rail productivity review will be completed for consideration by transport ministers in early 2009.